I recently read a blog posting, through Planetizen, by Kaid Benfield called “Are Main Streets a Thing of the Past? Is that OK?” He discusses Main Streets and their appeal and how they tend to evoke the past. He concludes by stating that “there is a profound lonely in the decline of the old” and that the “loneliness” that exists when we see empty strip malls and big box stores is not as profound and does not exude the same sense of loss when it comes to watching “main streets” dwindle. I tend to agree. I will admit that I am I am a sentimental person. I would like to think most people are sentimental too when we look in our heart of hearts. I believe this is why planning becomes such a personal topic, and why Kaid Benfield is reasonable in that “sense of loss” he feels when looking around at Main Streets. The impressionists began painting the world the way they saw it. Not many people thought impressionistic art was real art. Today we laugh because we celebrate the impressionists for their vision and imagination to see the world in a way most could not imagine. Perhaps Main Streets are a thing of the past, but I love them; I love walking around to different shops and restaurants, and feeling included. However, I also hope that planners do not get tied to one model and view of what a Main Street can look like.I recently moved back to the neighborhood in Los Angeles that I grew up in in, after living in the southeastern United States, Canada, and France over the past seven years. After having been gone for seven years, I must say, I am happy to see that not much has really changed. Yes, there are some establishments that are different, but the basic feel is still the same. Which leads me to question what is that intangible sense of home and community? How do planners tap into this all-important quality? 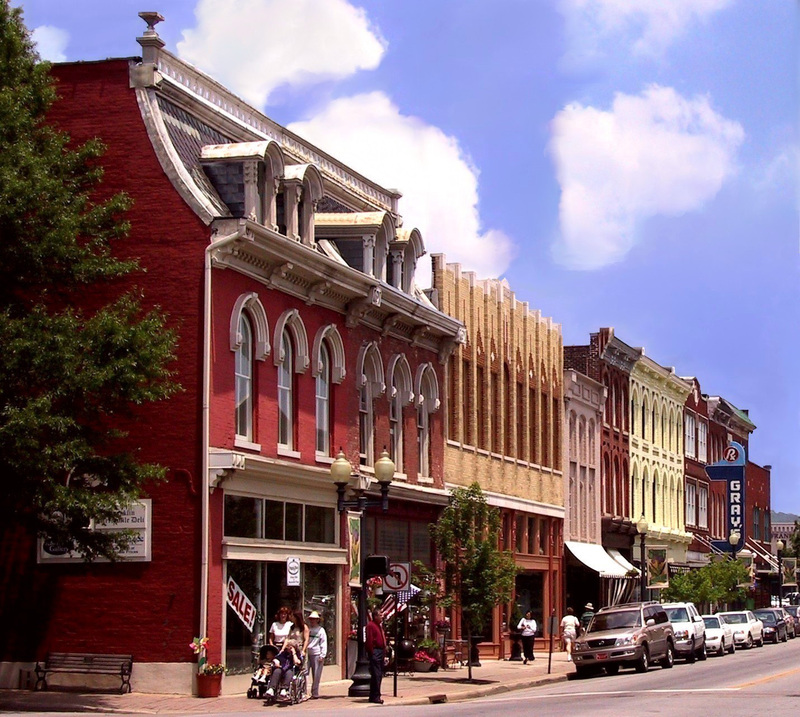 What do Main Streets give to a community? Main Streets should do more than simply evoke nostalgia. Banfield writes in his blog post that many Main Streets today “evoke the past, not the present.” The history of a community is important. However, at what point do community members and planners step back and ask, so what does this mean for the future? I struggle with this question because I do like the idea of familiarity, which comes with the evocation of the past, but I also like seeing people build and innovate on what came before to create something completely new and different. As I stated earlier, I am happy that my neighborhood, in essence, has not changed, and I know I would have felt a certain sense of loss if it had changed and was no longer the community in which I remembered growing up. Editor Note: For more information on Main Streets and the National Trust for Historic Preservation’s Main Street program, click here!